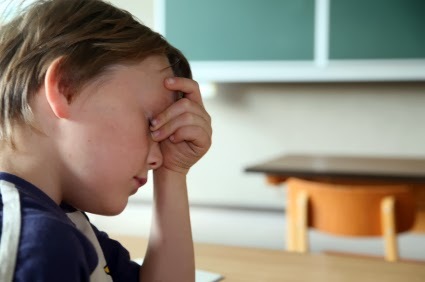 Anecdotally you may have heard commentary from a friend about the large numbers of kids in their child's age group who seem to have something wrong with their brain – ADHD or Autism for example. Turns out, there's some solid statistical evidence those conditions are on the rise. According to the U.S. Centers for Disease Control, almost two million more children in the U.S. were diagnosed with developmental disabilities in the mid-Oughts than in the mid-1990's. This same decade saw autism climb nearly 300 percent, while that of attention deficit hyperactivity disorder increased 33 percent. In total, the CDC concludes that 10-15 percent of kids born in America have some type of "neurobehavorial development disorder" and many more were have milder afflictions that don't necessarily rise (yet) to the level of an official diagnosis. These rising numbers are why some leading researchers are saying we're experiencing a "pandemic" level of child brain disorders. Genetics are believed to account for as much as 30-40 percent of that increase (whether it's genetics or "epigenetics" isn't examined). However, study after recent study also suggests that environmental exposures play a significant role. Last month, Journalist Elizabeth Grossman wrote about the insidious impact of toxins on the brains of children, either while they're still in the womb or in their early years as their brains are still developing. She describes both indoor and outdoor exposure pathways that offer a multitude of opportunities for kids or pregnant mothers to be exposed to chemicals that can have both subtle and profound impacts on brain behavior. There are the bad ones we know so much about but can't seem to eliminate from the marketplace, like lead, that still turns up in plastic "softeners" and imported paints. But there's also the threat that grows from fine particulate matter with almost every new research effort published, as well as more ubiquitous chemicals used in fire retardants (PBDEs) plastics (BPA and phthalates), and "perfluorinated compounds" used in stain resistant coatings and pesticides. Only since the 1980's have scientists realized how much more vulnerable the brains, and hormones, of kids are to the impact of toxins. Even "low levels" of exposures at the wrong time in fetal development can have big consequences. One research is quoted by Grossman as saying that "timing determines destination." In terms of air pollution, there are now numerous studies linking Particulate Matter (PM) pollution to Autism, including one published as recently as December from the Harvard School of Public Health showing that mothers exposed to high levels of the pollution were twice as likely to give birth to children diagnosed with the disorder. Pregnant moms exposed to high levels of Polycyclic Aromatic Hydrocarbons, or PAHs – another by-product of burning stuff – were five times more likely to raise children with Attention Deficit Hyperactivity Disorder according to a recent study published by Columbia University's Mailman School of Public Health. When you combine these air pollution threats with the retardants on the furniture we buy, the residues of pesticides on the food we eat, and the plastics we eat and drink from, the world looks like a very hostile place for developing minds. No matter the exposure pathway, the problem is the old familiar one of an outdated and slow-moving regulatory system dealing with a marketplace where thousands of new chemicals are introduced without proper health screenings for fundamentals like cancer, much less their more subtle impacts on children's brain development. The ability for chemicals to cause harm is outracing the mechanism in place to prevent them. We're still reacting to being poisoned instead of being proactive about preventing it. In Arlington I'm hearing about childhood neuro and glio blastomas not being so "rare".